Womble MPEG Video Wizard is a MPEG video editing tool that has gained popularity for its relatively simple interface and quick editing. Editing MPEG files is often necessary when it comes to producing home made DVDs, to compile your holiday videos into a coherent package. 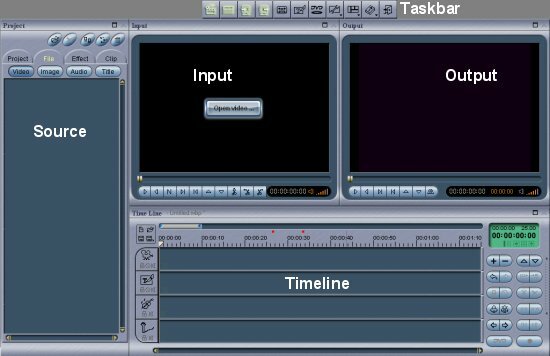 Many DVD authoring tools come with basic editing capabilities, but these are often slow, lacking in features, or too buggy to be of any real use. This is where MPEG Video Wizard (and MPEG Video Wizard DVD) comes in and becomes useful. This guide is designed for beginners to video editing, and it will go through some of the most basic operations, such as cutting, joining and removing commercials. The second part of this guide will feature taking a real life example and going through the editing process step by step to cover some of the more advanced features. However, video editing in itself is a fairly advanced topic, so if this is not for those who have never handled digital video files on computers before (in other words, you probably should already have some experience converting videos and such, but not necessarily have any experience with video editing). Womble MPEG Video Wizard DVD also features DVD authoring and menu creation capabilities, but this will be covered in another guide to be written soon. The "Source" section is where your editing material can be found. This includes video, audio files and clips, effects plugins, and saved projects. The "Input" and "Output" windows provide video previews. The "Timeline" is where most of the editing will take place. The "Taskbar" contains links to some frequently used functions, such as the export tool, title tool, some MPEG tools (mux, demux) and in MVW DVD, the DVD authoring tool. Get familiar with these sections and the terms I've used to describe them, which will be used throughout the rest of this guide.